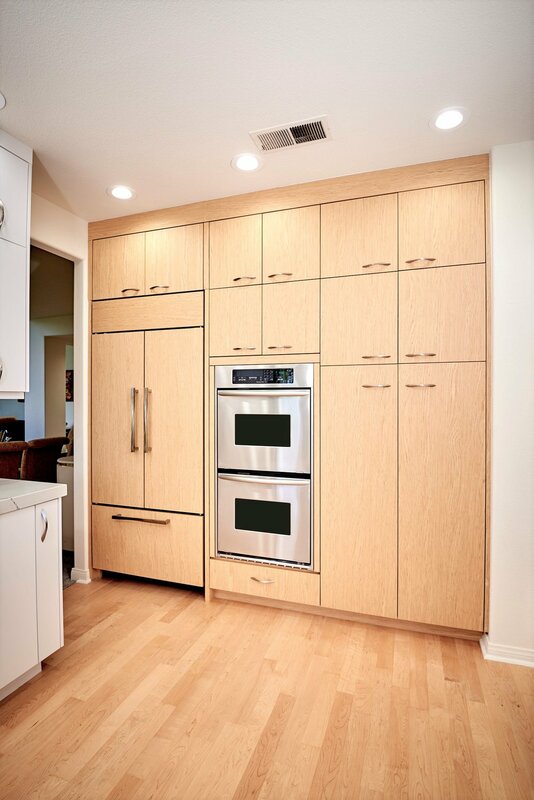 Our client is a gourmet cook and she desired a new kitchen in their home that they have lived in for over 30 years. 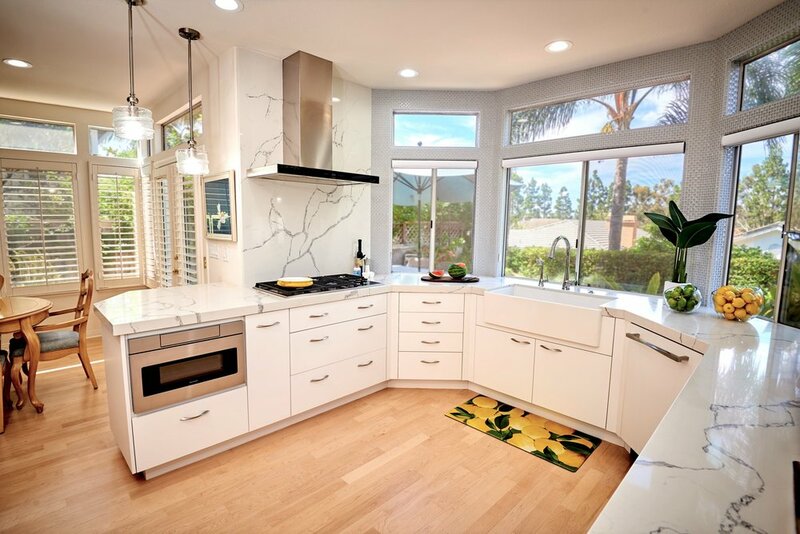 Jackie knew that she wanted minimalist, modern cabinetry, neutral color palettes, and wood accents, her contemporary kitchens has a subtle elegance that will never go out of style. We blended aspects of modern design with other details for a look that's current and sleek, but not sterile. A pop of color show with her accessories we acquired for their home—whether it’s on the furniture, in a bowl of fresh fruit, or in a vase of flowers. These details just add to this clean and modern chef’s kitchen. Hidden treasures are tiered cutlery systems and a pull up mixer so no one has to lift that heavy kitchen aid mix. The overall style ensures that this contemporary kitchen designs still feel warm and welcoming, as do big windows that let in the sun, an architectural light fixture. We moved the refrigerator from the wall by the dining room which opened up the clients countertop space. This was a great solution to limited countertop space. Additionally we remodeled their wet bar. I saw that it was alcove that seemed outdated and not usefull in the existing space. So by pulling the bar forward we were able to create a modern bar and a bathroom that all friends and family can be impressed by.